BIMVC Calendar of Concerts and Events, 2019. For the first time for a long time BIMVC will be hosting our find raising concert at the Emmanuel Church, Wylde Green, on Saturday, 19th October,details to follow. Finally,BIMVC will be playing host to the EAMVC concert in June 2020 to help celebrate the choir's 120th Anniversary!! We are looking for new members to join us and to take part in these exciting events. Get in touch we are waiting to hear from you. Don't delay, get in touch today. We are waiting to hear from YOU! very appreciative audience. A big thank you to you all. thanks to Jane, the manager at the Harvester,for the Christmas treats. Birmingham City Council Choir 5th Anniversary Christmas Concert. Wednesday, 5th December, at 7.00pm. website. Tickets will be on sale at the door on the evening. opportunity for a sing along too! Happy returns at Kingstanding Methodist Church Centre. with a very willing to sing along audience.Well done to you all! the concert which they had thoroughly enjoyed. St. Luke's concert a big hit with the audience. gave BIMVC such a warm welcome last Saturday. the role of Musical Director for the evening. leaving the audience wanting more! available at the door on the evening. 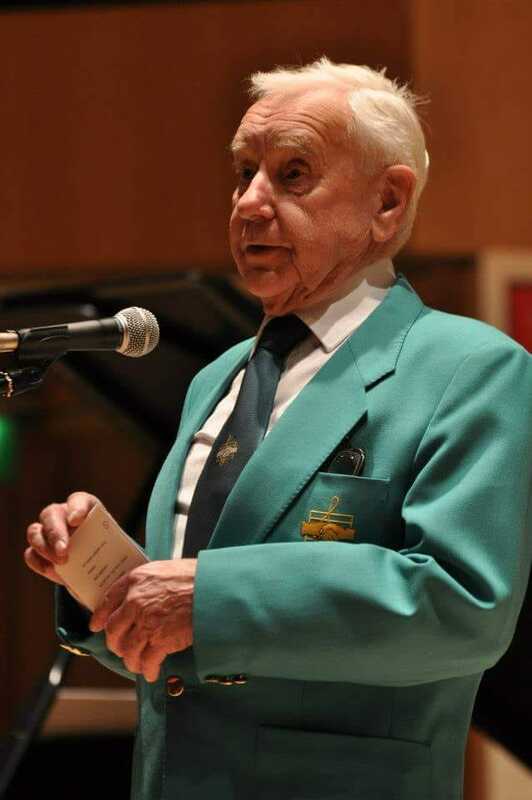 It is with great sadness to announce the death of our dear friend and chorister Bob Rowe . ​Bob has been ill and frail for some time but has still been coming to rehearsals on the occasional basis, until quite recently. 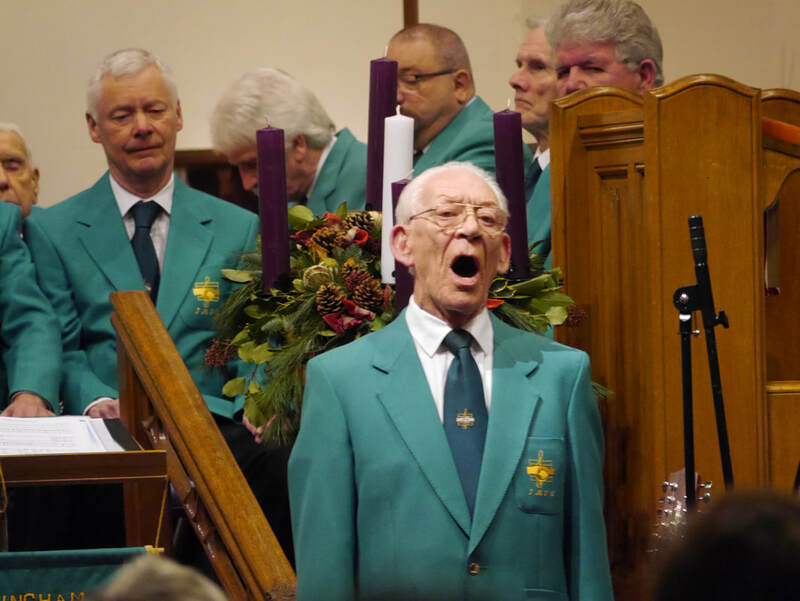 Bob joined the choir in 1985 and has served on the committee and acted as treasurer for a number of years. He will be sadly missed. A busy September for BIMVC. 1940-1943, on Saturday 15th September at St. Martin's in the Bull Ring. Harris with Tributes by Sir Albert Bore,O B E, President of BARRA. Erdington, B23,6RH on Friday evening, 21st September. Free Admission. welcome given to all who attend the Oikos cafe experience. Caversham Rd, Kingstanding, B44,0LW on the 29th September, at 7.30pm. participation song in everyone of our concerts! ​BIMVC concert at St. Mark’s Church Centre, Brandywood Crescent, Kingstanding, B44 9 JX. Come and join us this Saturday, 7th July, at 7.30pm for an evening of wonderful music as we perform some of our favourite songs, some old favourites like When I’m 64, some new to our programme, songs like World In Union and For The Fallen and several others from our favourite musicals like There Is Nothing Like A Dame and Bring Him Home. If you feel like joining in, we’ll be singing You’ll Never Walk Alone to cheer England on in the World Cup. We look forward to seeing you at St.Mark’s on Saturday. Tickets available at the door on the evening. 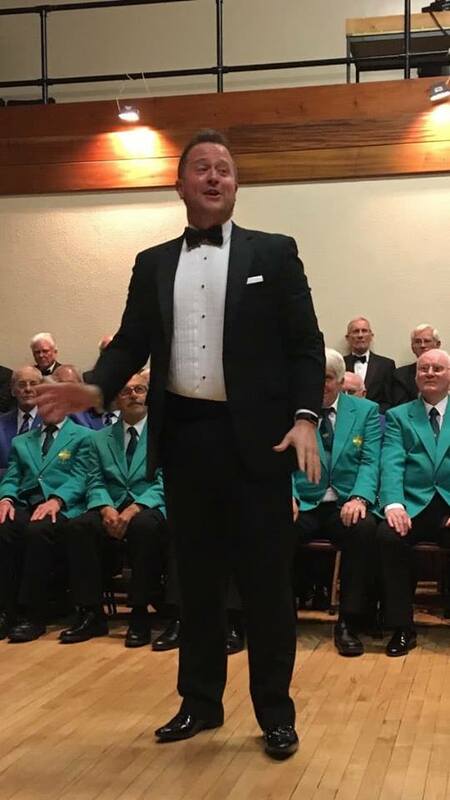 Really great concert held last night in Halesowen to celebrate Warley MVC 75th Anniversary with Cradley Heath MVC and Craig Yates from Only Men Aloud. Craig has known Warley MVC since he was 2 years old as his grandfather was a Warley MVC chorister . 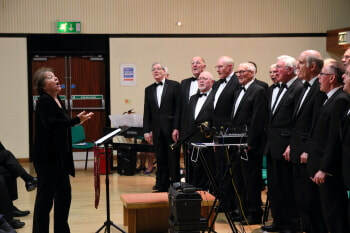 ​A massive thanks from us all at BIMVC for inviting us to celebrate 75 years of song at Warley MVC , we all had a great evening .. we raise a glass to your next 75 years ! Come and join us next Saturday 19th May at the Cornbow Hall Halesowen. 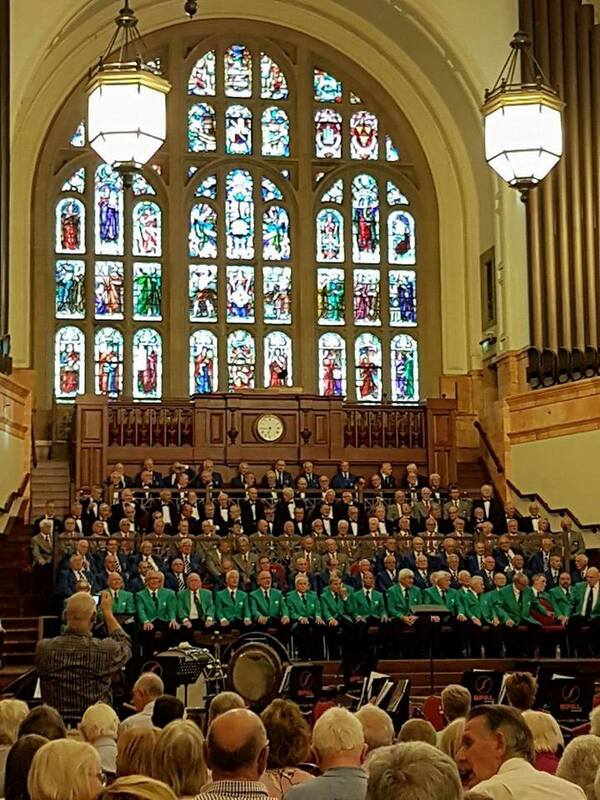 B63 3AF, when we join our dear friends at Cradley Heath MVC and Warley MVC in celebrating Warley MVC 75th Anniversary Gala Concert featuring the ever popular Craig Yates of Only Men Around. 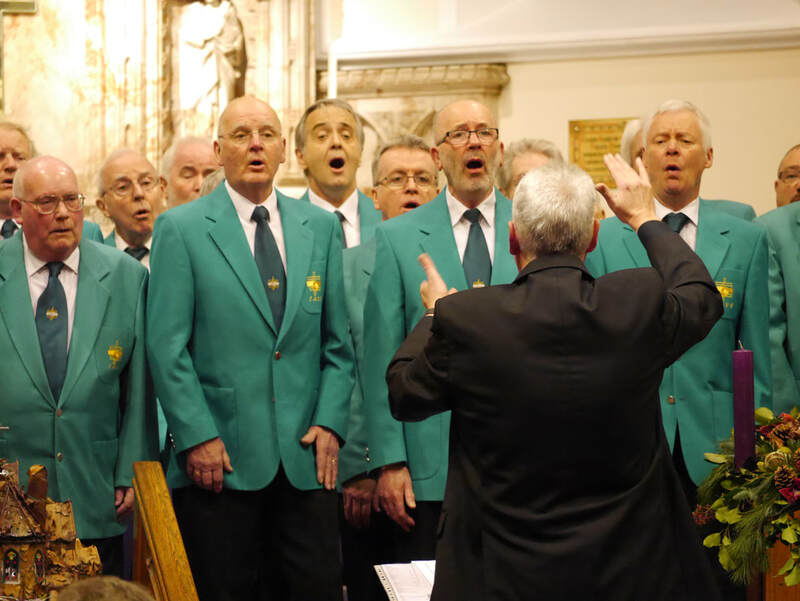 It promises to be a wonderful evening with a mixture of songs like Bring Him Home from Les Miserables to some stirring Welsh Hymns like Gwahoddiad. Tickets are £10.00 and are available by ringing 0121 552 4113 or they are available on the door on Saturday. we look forward to meeting you all."